Was very nice, best place we stayed in Ireland. Great value. Good food. Ok so the actual inn is older and could use a bit of updating, but it was quaint and very close to Newgrange. We had a wonderful time in the pub and made friends in one evening that will last a lifetime. We can't wait to go back!! 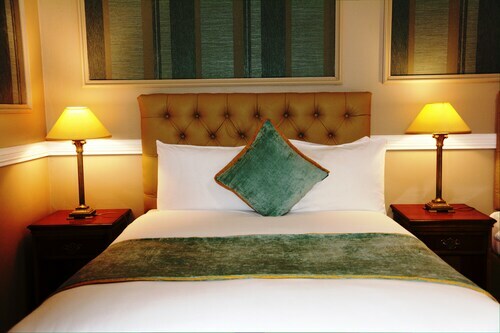 Situated in Dunboyne, this spa hotel is within 16 mi (25 km) of Dublin Zoo, Pearse Lyons Whiskey Distillery, and Vicar Street. War Memorial Gardens and National Botanic Gardens are also within 16 mi (25 km). Dunboyne Station is 22 minutes by foot. Situated in Ashbourne, this hotel is 1 mi (1.6 km) from Ashbourne Golf Club and within 6 mi (10 km) of Tayto Park and Corrstown Golf Club. Swords Golf Club and Fairyhouse Racecourse are also within 9 mi (15 km). 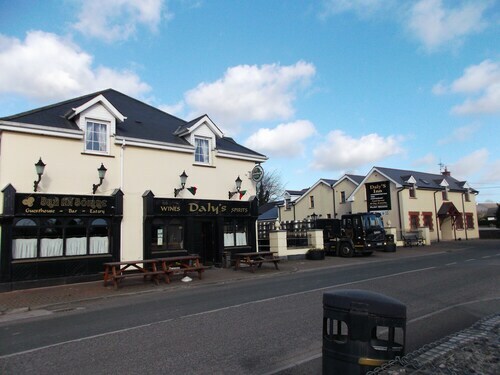 Situated in Trim, this hotel is within a 10-minute walk of Trim Visitor Centre and Trim Castle. Bective Abbey and Hill of Ward are also within 9 mi (15 km). 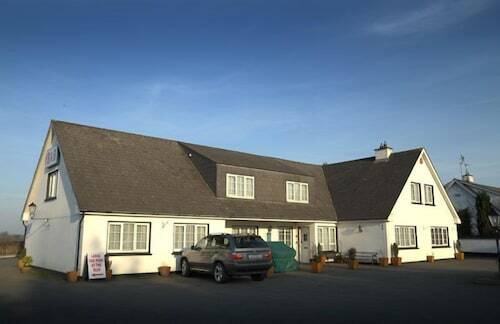 Situated near the beach, this guesthouse is 1.6 mi (2.6 km) from Ashbourne Golf Club and within 9 mi (15 km) of Tayto Park and Fairyhouse Racecourse. Swords Castle and National Aquatic Centre are also within 9 mi (15 km). 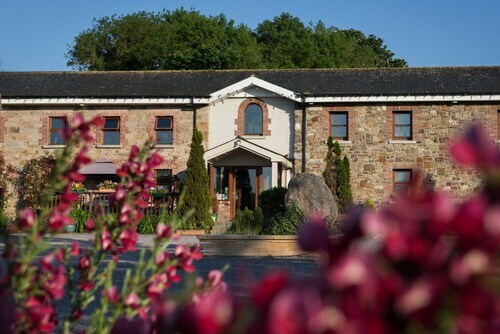 Situated on a river, this hotel is within a 15-minute walk of Trim Visitor Centre and Trim Castle. Bective Abbey and Hill of Tara are also within 12 mi (20 km). When you’re craving the sounds, sights, and smells of a new destination, it’s time to go on an adventure. 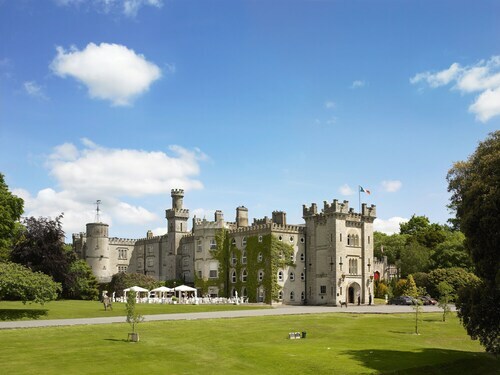 Book one of the best hotels in Meath and get ready to explore. Venture out solo, invite your honey along, or instill some wanderlust in your kids as you dabble in the culture. During your visit, sample some of the region’s most popular delicacies, tour the famous attractions, and speak with the locals to discover the most coveted spots around. After hiking around the scenery and visiting the nearby landmarks, rest up at one of the nearby Meath hotels. Here at Travelocity, we’re ready to match you up with the perfect lodging for your next sojourn. Whether you’re in the mood for a place with artsy décor or room service around the clock, we’ve got just the hotel for you. Sort through our selection of cheap hotels in Meath to find one that suits all your preferences and price range. What’s more, you can keep your travels within your budget by booking your hotel and flight at the same time to save up to $537. With a wide range of hotels to choose from and unbeatable deals, there’s no excuse not to go out and smell the roses in a new city today. How Much is a Hotel Room in Meath? Hotels in Meath start at $58 per night. Prices and availability subject to change. Additional terms may apply. Located in town but secluded from traffic and noises. Public areas have warm tones complete with burning fireplace in bar sitting. Amazingly beautiful setting in the country. We were in a courtyard room. It was incredible. The size and accommodations in-room very beyond expectations. Great bed, great couch, great shower and tub. The restaurant is well worth spending a fancy evening visiting. The bar and it's menu is also great. The breakfast offerings don't disappoint. Awesome all around. Stayed two nights because of the proximity to Dublin and location near Newgrange. We had a hotel room with a bathroom which was clean. The beds were comfortable and the staff very accommodating. Shower had great water pressure and the water was hot! There is ample parking - which is FREE (if you’ve ever been to some hotels in Ireland you know that parking often costs money!). Breakfast was included and was decent and included hot and cold food choices. 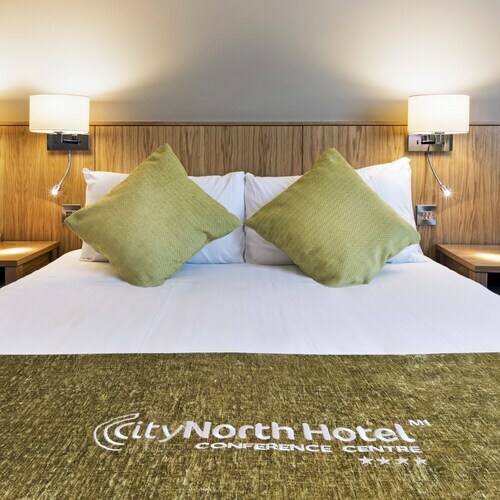 If you’re looking for a hotel close to Dublin (and a reasonable distance by car to Belfast) or to explore the megalithic sites of Knowth, Newgrange, Tara, etc. then this is the place. We arrived unexpectedly due to no vacancies in the immediate Dublin airport area. Peter and Miriam where perfect hosts and showed our children around their horse farm and allowed them to watch the evening feeding. The next morning Peter had a full Irish Breakfast prepared before we needed to depart for the airport and even allowed the girls a quick ride on the horse before we left. The beds are comfortable and the room was clean and we had everything we needed. I would recommend this B&B. It’s only a 45 minute drive to DUB Airport.